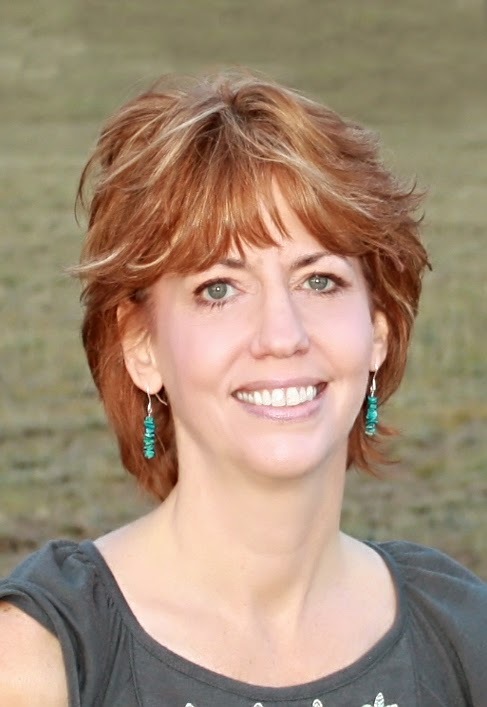 Joanne Kennedy is a Cheyenne, Wyoming-based author of contemporary Western romances with traditional ranch settings. She is also a friend of mine and I shamelessly tapped her for an interview. So, Joanne, as we enter this season of gratitude, what are you particularly thankful for? So many things! I had breast cancer last year, and for a day or so after the diagnosis, we didn’t know if I was going to be okay. I suddenly had to face the fact that “life is short” isn’t just a platitude, it’s the truth! Surprisingly, what I felt wasn’t sorrow but gratitude for the simplest things – for just being in the world. I was grateful for the bright colors of autumn leaves on a crisp, blue-sky day, for a boy riding a bicycle, for a stick, for a blade of grass. Everything took on new brilliance, and there wasn’t a thing in the world that wasn’t beautiful. Much as I hoped to stick around and see more of it, I was stunningly, joyfully grateful to have been here at all. And although cancer treatment was difficult for me, I’m grateful to have had the experience of that one day. Once in a while, when petty problems start nibbling away my optimism, I can summon up that feeling and remember how lucky I am to simply be. Thanksgiving is when we celebrate our abundance – what have you had in abundance in your writing life this year? Understanding, compassion, encouragement and love. I had just signed a three-book contract when I was diagnosed. Publishing is a business, and I’ve built my career on making deadlines and being a true professional who’s easy to work with. But everyone, from my agent to my editor, told me to take my time and write when I could. They inspired me to keep working, and writing every day helped me feel like I was more than a cancer patient; I was still a writer, which is all I’ve ever wanted to be. 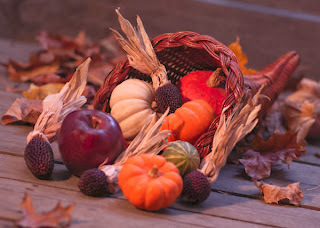 I’m picturing a cornucopia – a prevalent symbol at Thanksgiving. What essential elements would you suggest that our readers put in their writing cornucopia? I would suggest they fill that cornucopia with words, and that they use those words to give themselves the gift of writing every single day. Creating something every day just feels good. It strengthens your self-worth, plus it helps you think and understand and feel. It got me through cancer treatment, so I know it can get you through your next challenge. Which just might be Thanksgiving dinner with the family! I hope your turkey is perfectly cooked, your relatives are cordial, and your children are well-behaved. And if it’s total chaos, just remember to look around and be grateful for the simple things. Joanne’s next book, the first in the Cowboys of Decker Ranch series, will be released in April, 2014. She’ll also be presenting workshops at the 2014 Northern Colorado Writers Conference, March 28 & 29. Visit Joanne’s website at www.joannekennedybooks.com (she’s got some posts specifically for writers) or on Facebook at Joanne Kennedy Books. Joanne, best of luck to you in the coming year. You certainly have plenty to be thankful for. Joanne, I'm thankful for your post, a wonderful reminder of all life has to offer. I wish you a long future of writing and other joyful endeavors. Thanks, Richard! I do. I've never appreciated plain, ordinary good health so much. It's great to have the energy to get through the day and feel really creative again. Thanks, Patricia! Same to you, and I hope I'll see you at the conference this year.